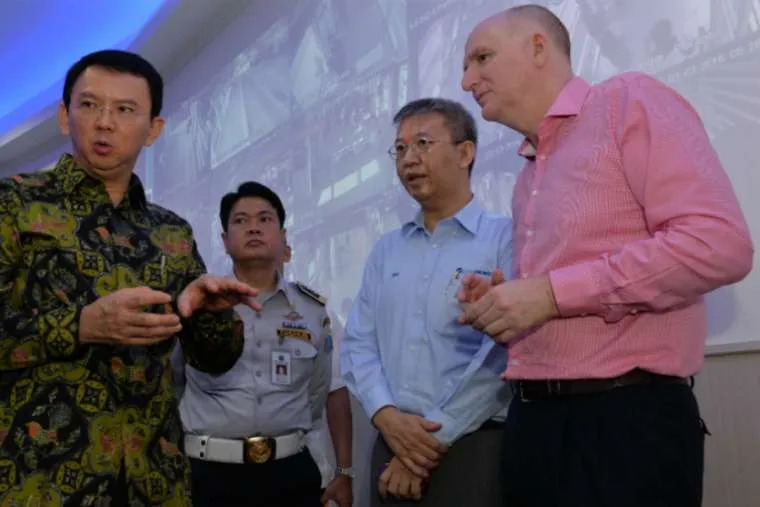 Jakarta, Indonesia, Jan 25, 2019 / 12:00 am (CNA).- An Indonesian Christian, the former governor of Jakarta was released from jail on Thursday completing a two-year long sentence for alleged blasphemy against Islam. Basuki Tjahaja Purnama, a Chinese Christian, was Jakarta’s governor from 2014 to 2017. He was sentenced to prison that year, after being convicted of blasphemy after he charged that his opponents in his reelection race misused a Quranic verse about Muslims being ruled by non-Muslims. A video of his comments with inaccurate subtitles was later released. Hundreds of Muslim protestors gathered outside the court and called for his imprisonment. “He's back. My dad's a free man! Thank you everyone for the support,” his son, Nicholas Sean wrote on Instagram, after Purnama’s release. Human Rights Watch reported on Jan. 23 that Purnama’s case has highlighted the decline of the country’s freedom of speech and religious tolerance. Violation of a 1965 blasphemy law, which can lead to a jail sentence of up to five years, has been used to punish religious minorities in the predominantly Muslim country, the NGO said. “[Purnama’s] unjust conviction is a reminder that minorities in Indonesia are at risk so long as the abusive blasphemy law remains in place,” said Elaine Pearson of Human Rights Watch. Before his release, Purnama issued a letter on Instagram apologizing for any distress his comments may have caused. According to Bloomberg, in the letter, he thanked God for his prison sentence as a time to reflect on his future in politics. “I am very grateful to God, the creator of heaven and earth, for being imprisoned. If I were re-elected in the gubernatorial election, I would have been a man who controlled the City Hall, but in here I learned to control myself forever,” he said. Reuters reported that the former governor said he will not pursue politics at this time. Rather, Purnama said he is thinking about running a talk show and his family oil business. Blasphemy laws can carry serious penalties in countries around the world. In Sudan and Saudi Arabia, corporal punishment, such as whipping, can be the punishment for violating blasphemy laws. In Russia and Kazakhstan, correctional labor has been prescribed as punishment for blasphemy. A USCIRF study found in 2017 that Iran, Pakistan, Yemen, Somalia, Qatar, and Egypt have some of the world’s most severe blasphemy laws. Asia Bibi, a Catholic mother-of-five, was acquitted in 2018 of a blasphemy conviction eight years after she was initially sentenced to death in Pakistan. The country has never officially carried out an execution under the blasphemy law, but accusations alone have inspired mob and vigilante violence. “Blasphemy laws are a way for governments to deny their citizens – and particularly those of minority religions – the basic human rights to freedom of religion or belief and freedom of expression,” Dr. Tenzin Dorjee, chairman of the U.S. Commission on International Religious Freedom, said in a statement last October. Beijing, China, Oct 30, 2018 / 11:06 am (CNA).- The first time Wenxuan Yuan visited a Catholic church in Beijing as a child, she was struck by its beauty. “I did not fully understand the significance of these words, but I couldn’t stop thinking about them. 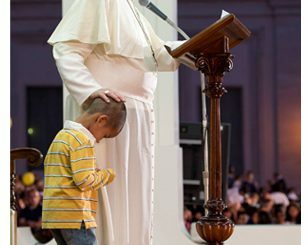 I kept visiting the church again and again,” Yuan said. At the age of 14, Yuan made the decision to become a Catholic. “I found a freedom that I had never had before. For the first time, I had nothing to hide in my heart,” she reflected. “God has become my light and therefore I am no longer afraid of light,” Yuan told bishops and young people in Rome at a youth synod event sponsored by the Notre Dame Center for Ethics and Culture. In a historic first, two bishops from China participated in the first few weeks of the 2018 Synod of Bishops on young people, the faith, and vocational discernment. And Yuan could not keep this truth to herself. “When I was in college, every weekend I would try to grab one of my friends for Mass and I did that for several years,” Yuan continued. However, many of her college friends in China knew almost nothing about the Catholic faith. “Some even got the wrong idea that after the Reformation the Catholic Church became the Protestant church,” she added. “But that part of the point of Christianity. It is shocking and we are believing it,” Yuan said with a smile. A Chinese religious sister from Hebei, China, also participated in the synod as an auditor. 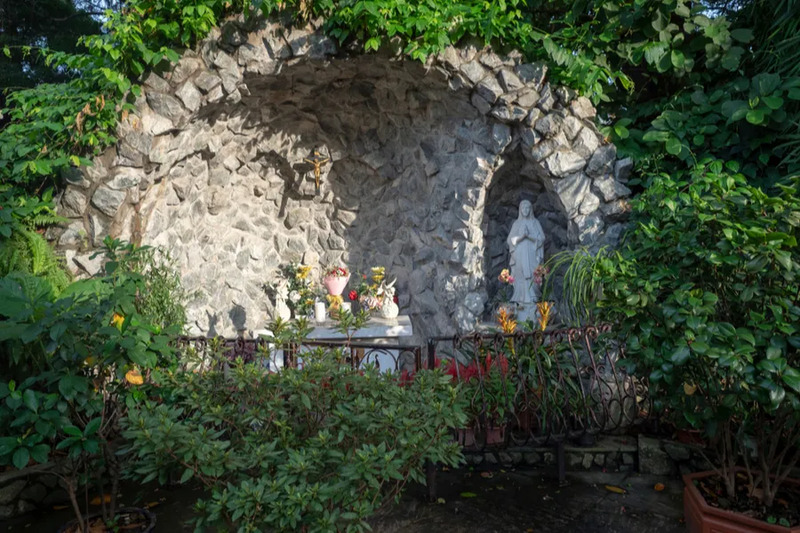 Sister Teresina Cheng said that it is difficult for young people in China to “maintain a solid faith” because Catholic Christians are such a small percentage of the Chinese population. “In universities, young Catholics are afraid of revealing themselves as such, for fear of being considered ‘strange’ or a minority,” Sister Cheng told AsiaNews. “Certainly there are also young people interested in the Christian life, who on their own initiative come to ask to know the Church better, attend the catechumenate and activities in the parishes,” she added. Yuan, a Chinese student full of such initiative, is currently pursuing a PhD in theology at Notre Dame University. Her love of theology was born by reading spiritual writings through which she entered into “the living tradition of the Church.” Yuan found the “heroic battle of charity and self-sacrifice” in St. Therese of Lisieux’s autobiography to be a particular inspiration. “Another thing I learned from St. Therese is the importance of praying for priests. I am blessed to have encountered some very holy priests in my life, who correct my faults and guide me through spiritual desolation, and always keep me in their prayers,” Yuan said at the youth synod event. “Since it is hard to overstate how much a priest can do for a soul, I believe that all faithful should try their best to support their priests,” she continued. “I saw the Church as a home from the very beginning and I am thankful for all of the grace I have received through her,” Yuan said. “My life in the Church has also changed my relationships with people. I learned that all people are created by God in His image and therefore deserve my love,” Yuan said. “I have to admit that sometimes I find it difficult to love some people, like to find Christ in them,” she continued. The challenges endured by Catholics in China are complex, said Bishop Michael Yeung Ming-cheung of Hong Kong, but there are reasons to be hopeful about the future of the Church in China. 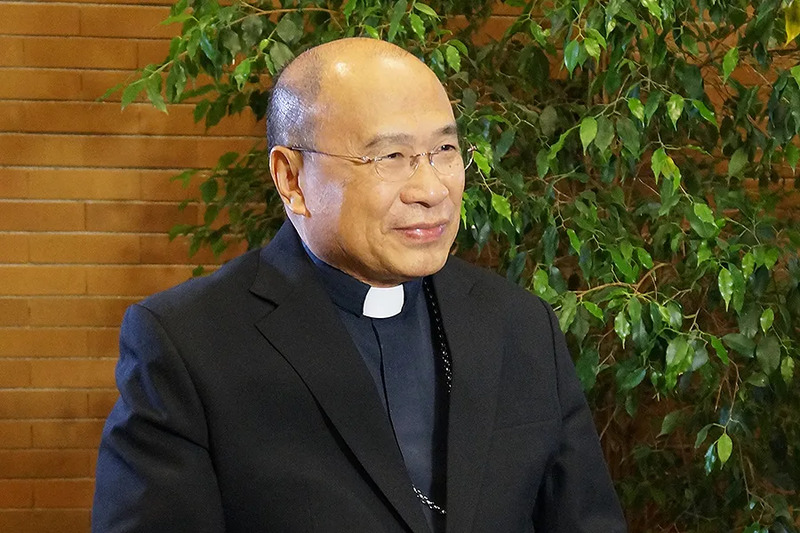 In an interview with CNA, Bishop Yeung explained the state of religious freedom and Church-state relations in China, outlined major challenges, and stressed the importance of the Church’s work amidst the Chinese people, especially the elderly, sick, and poor. Appointed Aug. 1 as Bishop of Hong Kong after serving briefly as coadjutor, Bishop Yeung succeeded Cardinal John Tong Hon at the helm of an influential Chinese diocese, where the Holy See has based its mission to study the situation of Catholics in mainland China. The Holy See and China have no diplomatic relations, and the Chinese government has tried to control the Catholic Church in China ever since 1949, when the Chinese Communist party took control of the state. This has resulted in a progressively difficult and complex relationship over the last 70 years. In 1957, the Chinese government established the Chinese Catholic Patriotic Association (CCPA), and required all bishops to join it. The Chinese Catholic Church split, with many bishops and priests going underground. With time, the Holy See and the Chinese government have developed realpolitik solutions to the appointment of bishops, which the Chinese government claims the right to control. However, the Chinese government has still appointed bishops within the CCPA which are not recognized by the Holy See, and the Pope has appointed bishops which the CCPA has refused to recognize. Talks for a possible agreement between the Holy See and the Chinese government regarding the appointment of bishops have been underway in recent years. The CCPA celebrated its 60th anniversary with no fanfare, thus raising hopes that an agreement would be finalized. In fact, though, things are at the moment stuck. He explained that CCPA was created by the National Congress of Chinese Catholic Representatives (NCCCR), an organization founded to supplant the Bishops’ Conference of the Catholic Church in China (BCCCC), which was established by the Holy See. Bishop Yeung’s predecessors held strong views about the possible agreement among Chinese Church leaders: his predecessor Cardinal John Tong Hon has supported it, while the previous influential Cardinal Joseph Zen has been highly critical of the possible agreement. “I’m not too surprised that Yu Zhengsheng, one of the seven members of the Politburo Standing Committee and Chairman of the Chinese People’s Political Consultative Conference (CPPCC), is reported to have, in July this year, stressed that Beijing intends to keep ‘a tight rein’ to ensure that the Chinese Catholic Church is held firmly in the hands of those who ‘love the nation and the religion,” namely Chinese communists. Increased regulatory restrictions require registration of all religious workers – including Catholic priests, both official and unofficial, through the CCPA – and certification of all religious sites. One of the official reasons why the Chinese government set up the CCPA was because they required all priests to be “patriotic” and to be connected to the Chinese administration. Bishop Yeung reflected on the Chinese government’s seeming reluctance to accept that Catholic bishops are not inherently unpatriotic, and that the faithful can be good Catholics as well as good citizens and patriots. “Indeed,” Bishop Yeung explained, “our religion teaches us, among other things, to love God and neighbor, to have civic responsibility, to respect authority (at the same time insisting that authority is a form of service to be responsibly exercised), to be compassionate, to serve the poor and the sick and all those in need – and to love the country, people and planet. Indeed, you can’t be a good Catholic without truly striving to be a good person and a good citizen. That holds true for bishops as it is for any ordinary lay person”. “Unfortunately, the Church, with few exceptions could only provide private medical services because the reforms of the medical insurance system generally did not cover Catholic medical institutions,” although he explained that in recent years, this has begun to change.